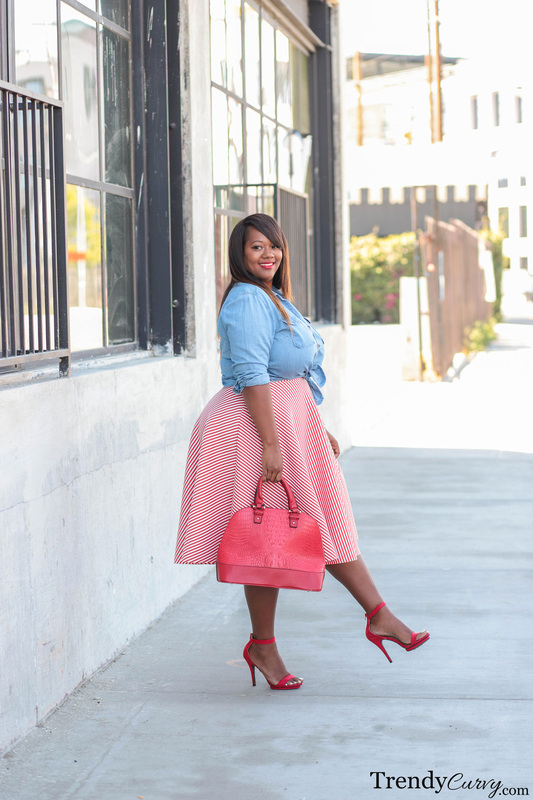 The plus size midi skirt is a classic piece that will never go out of style. 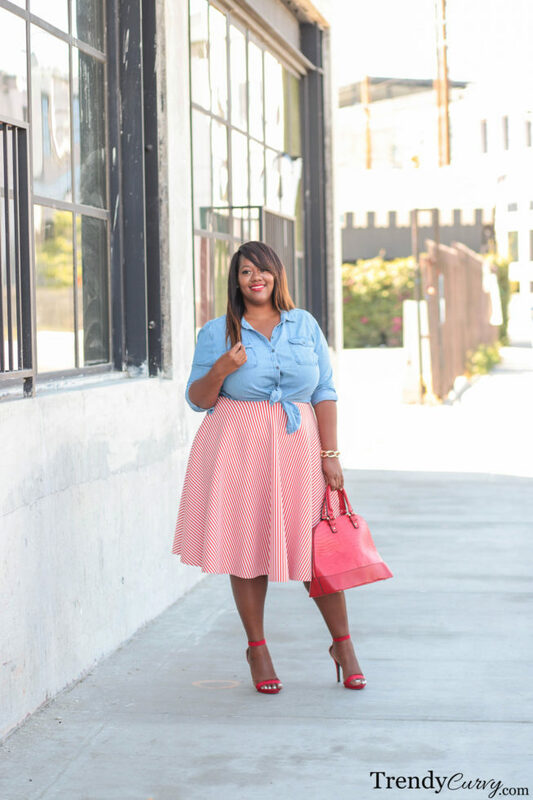 Midi skirts are highly versatile and they can be worn throughout the year from season to season. 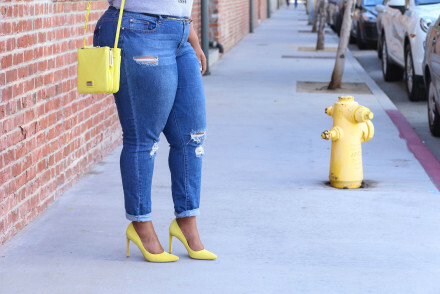 Because of this very reason, they have become a closet staple. 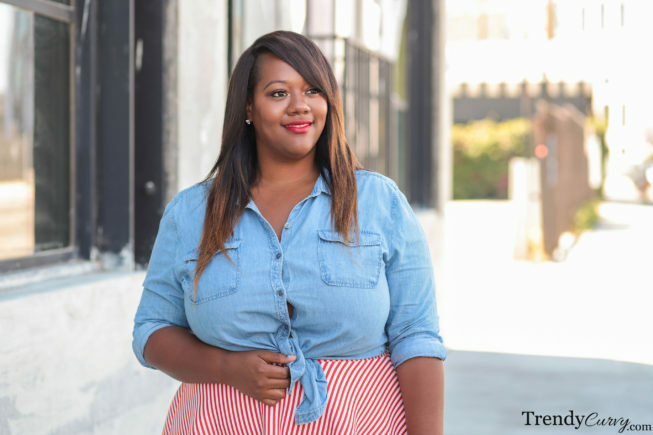 I personally have rocked a midi skirt in the Fall, Spring and now Summer. There are so many different variations of how this garment can be worn, making the possibilities endless. 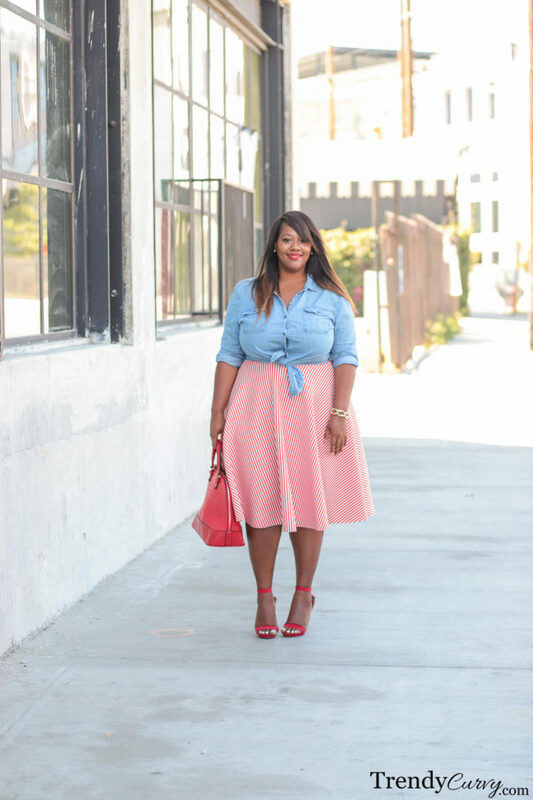 Plus, midi skirts look great on all body types. Because of the fullness of the skirt, it allows for the smallest part of your waist to be accentuated (and who doesn’t love that?). 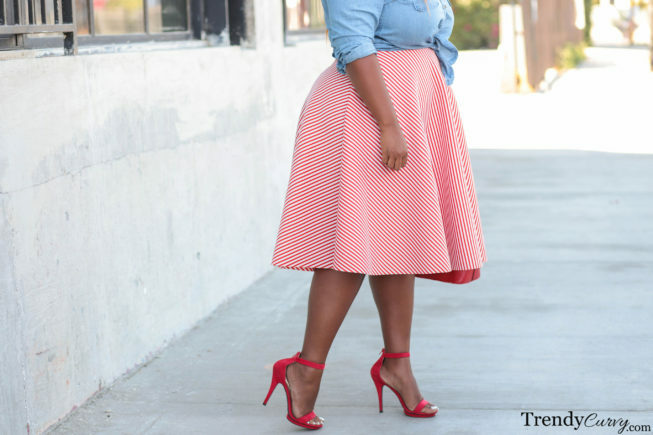 This particular plus size midi skirt caught my eye because of the print. I thought that the red and white stripes were fun and that it gave off a candy striper type of vibe. Although that traditionally is not thought as being something fashionable however this circle skirt gives it a new meaning. Since we are fresh off of the 4th of July, it was only right to do a subtle red, white and blue look. 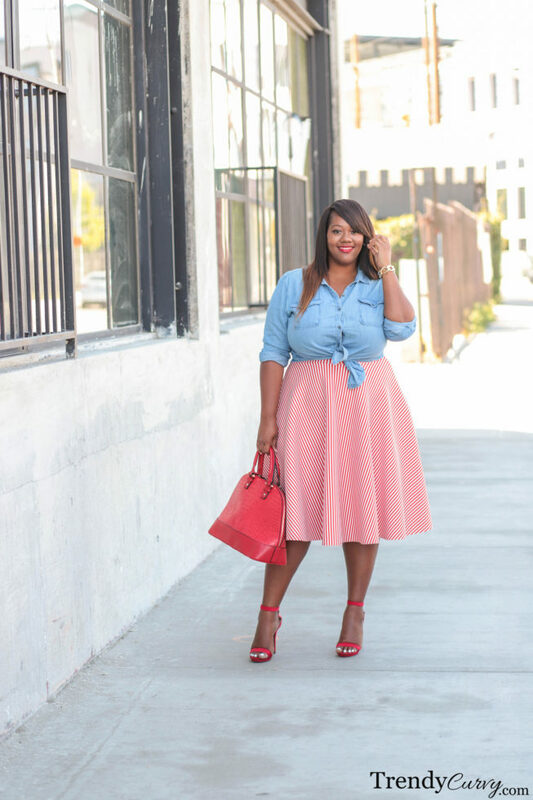 This chambray top was the perfect piece to complete that theme. I tied it up to avoid having to tuck it in and to add a cute little flair. 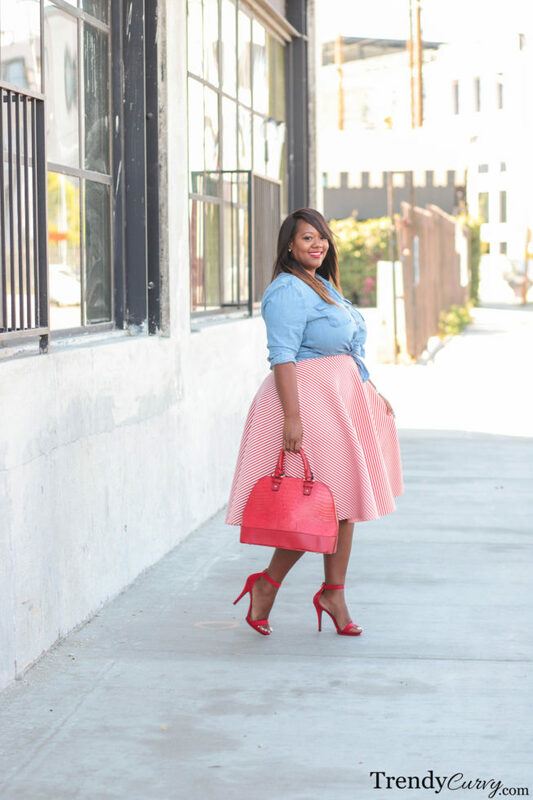 With bright red accessories to bring it all together, this midi look was complete! Omg I Love This Look!! I’m purchasing this skirt right now! Thank you Chevonne! Hope you love it!